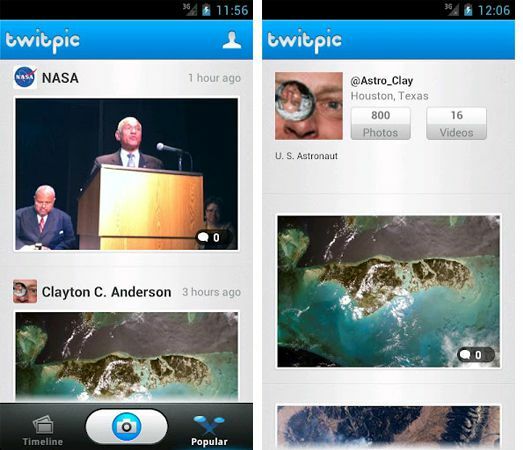 The Popular Image hosting site Twitpic released its app for Android devices. From this app, you can share your photos and videos with Twitter followers right from your android device. Twitter has its own email hosting service but still people prefer to host their images on Twitpic and this app will help them to manage their photos right from their mobile device. The app comes with beautiful filters and enhancement tools which makes your photos even more beautiful before sharing it with your followers. You can able to browse your photo timeline with photos from people you follow. Filters and enhancement tools to make the photos even more beautiful. The App is available freely on Play Store and it requires Android 2.2 or greater.